It's pancake Tuesday today. Whilst I DONT have a sweet tooth I can eat pancakes for England, but that wouldn't do my diet any good. 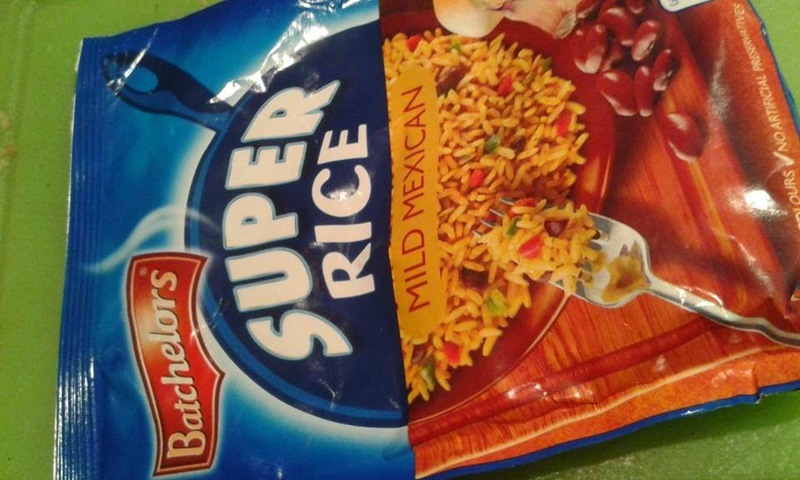 This version however is totally Fat Free! I ate mine with lemon juice and sugar substitute!. In the other bowl add the vanilla essence then fold the yolk into the egg white. Heat a frying pan with frylight, add the mix and spread as you would a normal pancake (i made two out of this recipe) after a few mins flip over. On Saturday we had a roast lamb dinner with a selection of vegetables. 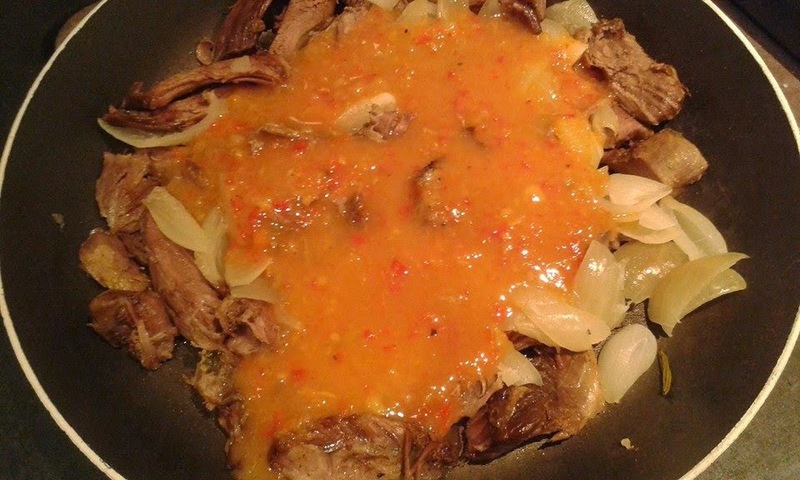 I experimented with a sauce 1 bramley apple, 1 onion half a de-seeded red pepper roasted together. Made up half a pint of stock then blitzed and added more water. As this was an experiment I made a standard gravy too. 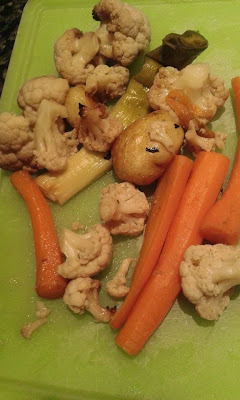 Sunday - the left over roasted vegetables. I finely chopped this and left to one side. 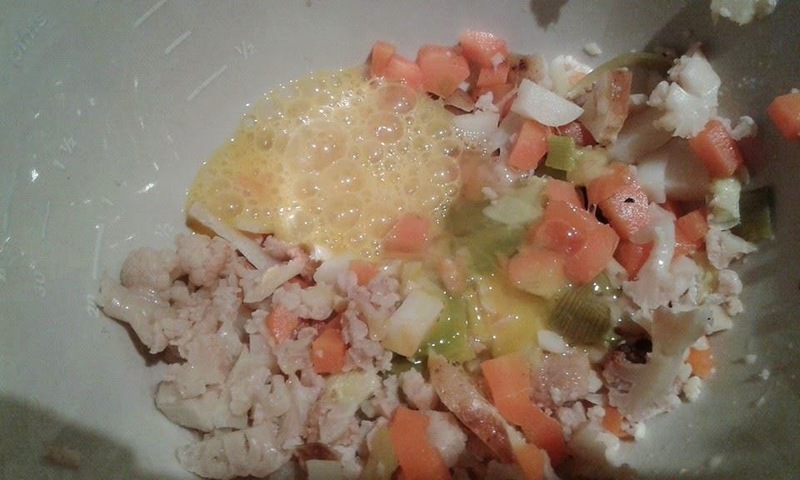 I then beat an egg and stirred into the chopped veg. 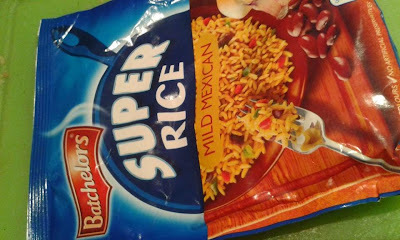 I made up a packet of super rice and stirred it into the mixed veg mixture. 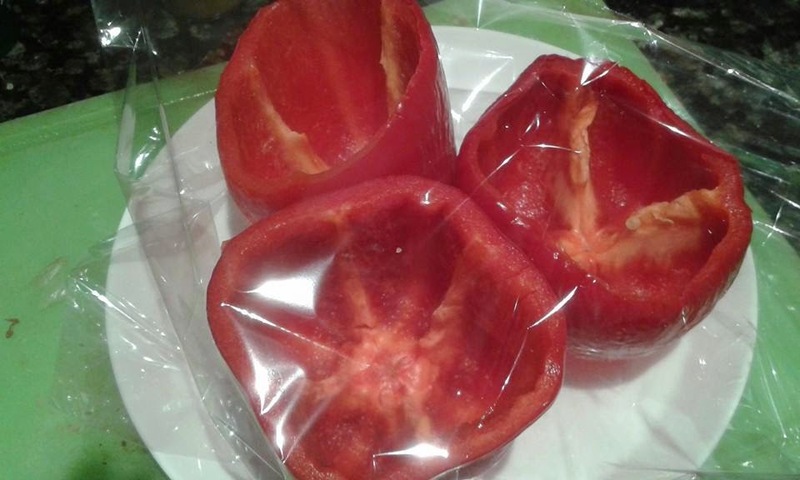 Placed 3 red pepper skins into a roasting bag and cooked for 15 minutes. 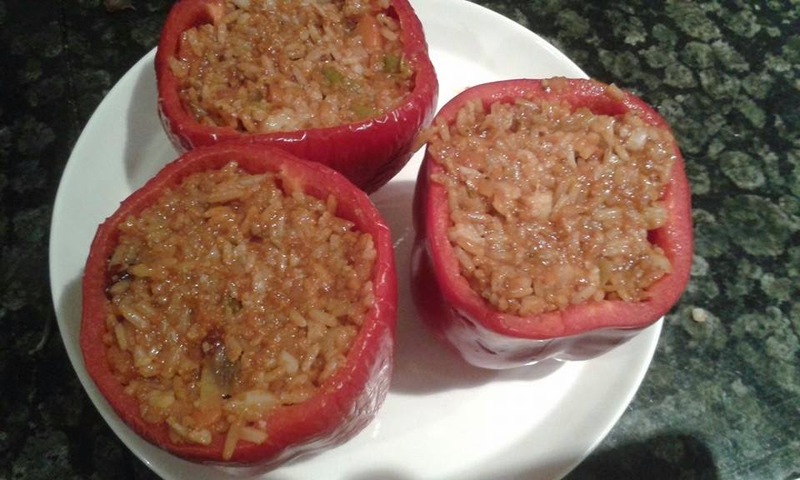 I then stuffed the peppers with the rice/veg mixture and cooked for 30 minutes in oven. In a pan I placed the left over lamb, some extra onions and poured in the rest of the experimental sauce. 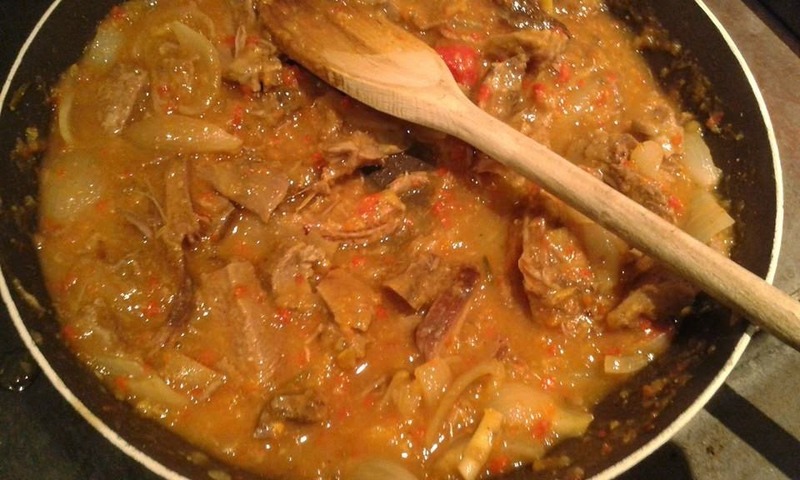 I added curry powder, cumin and some dried chilli flakes. I served the curry with the stuffed peppers - gorgeous. I sliced the peppers so we had 6 portions in all. The following night there was sufficient for 2 more portions. The lamb cost £12.50 and we got 3 evening meals from it. 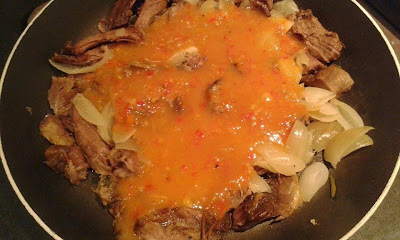 I am particularly pleased as I made this recipe from scratch with ingredients we had in.